MARYAM BEIK, Iraq (AFP) — Thousands of Iraqi troops were locked in an armed standoff with Kurdish forces in the disputed oil-rich province of Kirkuk as Washington scrambled to avert fighting between its allies in the war against the Islamic State group. The Kurds said Saturday that Baghdad had set a deadline for their forces to surrender positions they took during the fightback against the jihadists over the past three years. 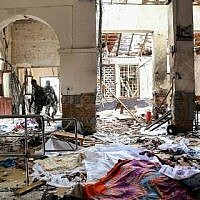 The deadline, originally set for 2 a.m. Sunday local time (1 a.m. Sunday, Israel time), was extended by 24 hours during a meeting overnight, a Kurdish official said early Sunday, asking not to be named. On Saturday, armored vehicles bearing the Iraqi national flag were posted on the bank of a river on the southern outskirts of the city of Kirkuk, an AFP photographer reported. 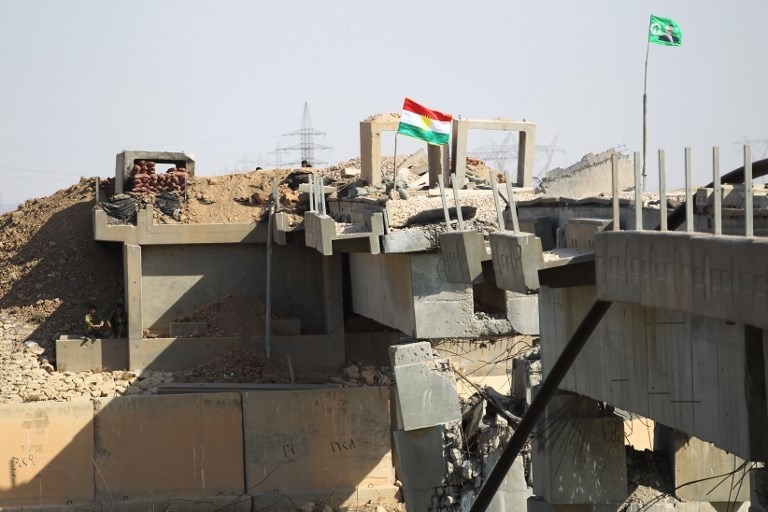 On the opposite bank, Kurdish peshmerga fighters were visible behind an earthen embankment topped with concrete blocks and the red, white, green and yellow colors of the Kurdish flag. “Our forces are not moving and are now waiting for orders from the general staff,” an Iraqi army officer told AFP, asking not to be identified. Just before midnight (11 p.m. Israel time), Iraqi forces used loudhailers to call on the peshmerga fighters to withdraw. The standoff came as Iraqi President Fuad Masum, who is himself a Kurd, held crisis talks in the Kurdish city of Sulaimaniyah. Kirkuk’s governor, a Kurd sacked by Baghdad but who refuses to quit his post, visited the peshmerga near the Bay Hassan and Havana oilfields with an uncomprising message for the Iraqi forces. 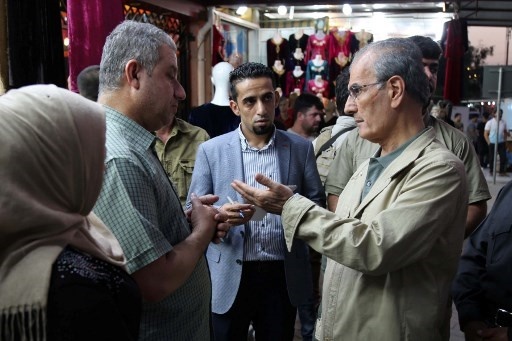 “The demands of the Hashed al-Shaabi (paramilitary forces) to evacuate Kirkuk and hand over control of the territory, its inhabitants and natural resources are totally unacceptable,” Najm Eddine Karim told journalists at the scene. He said the Kurds were in contact with the US-led international coalition against IS, which could observe the situation on the ground with its military overflights. The two sides have been at loggerheads since the Kurds voted overwhelmingly for independence in a September 25 referendum that Baghdad rejected as illegal. Polling was held not only in the three provinces of the autonomous Kurdish region but also in adjacent Kurdish-held areas, including Kirkuk, that are claimed by both Baghdad and Iraqi Kurdistan. Iraqi Prime Minister Haider al-Abadi has said there can be no further discussion of the Kurds’ long-standing demands to incorporate Kirkuk and other historically Kurdish-majority areas in their autonomous region until the independence vote is annulled. 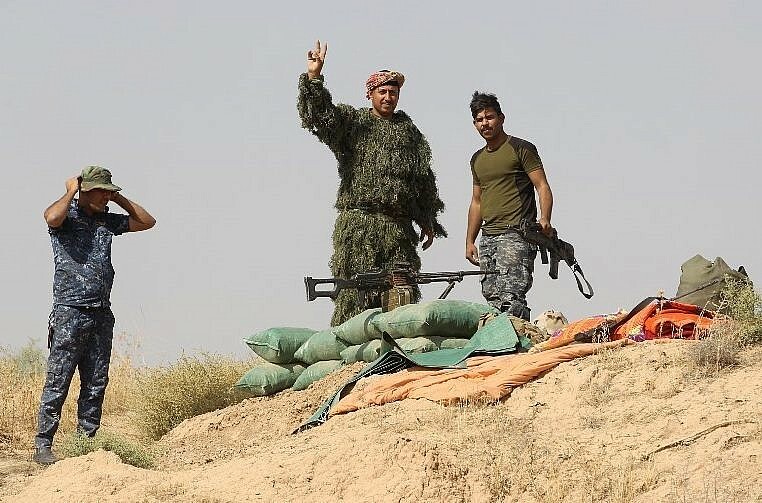 But thousands of heavily armed troops and members of the Hashed al-Shaabi, or Popular Mobilization forces, which are dominated by Iran-backed Shiite militias — have massed around Kirkuk. They have already retaken a string of positions to the south of the city after Kurdish forces withdrew. A peshmerga commander on the western front said Kurdish fighters had “taken all the necessary measures” and were “ready for a confrontation” if necessary. If “the other side makes the mistake of advancing, we’ll give them a lesson they won’t forget in a hurry”, Kamal Kirkuki said. The June 2014 lines are those that the Kurds held before IS jihadists swept through vast areas north and west of Baghdad, prompting Iraqi federal units to disintegrate and Kurdish forces to step in. The Kurds control the city of Kirkuk and three major oil fields in the province that account for a significant share of the regional government’s oil revenues. 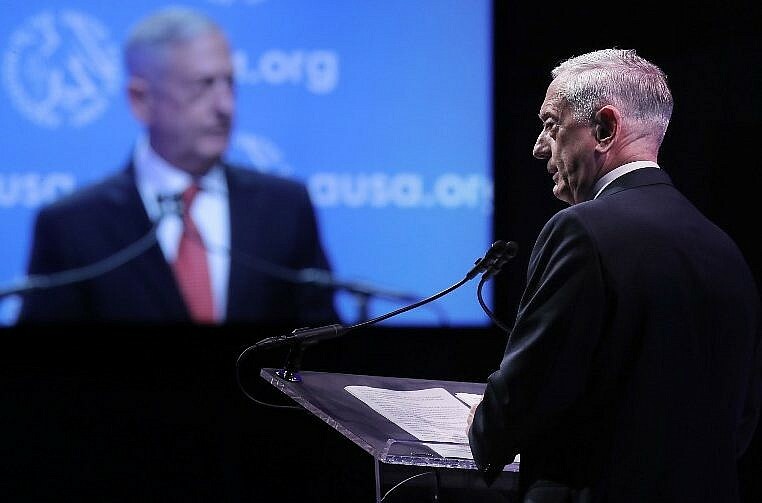 Washington has military advisers deployed with both sides in the standoff and Defense Secretary Jim Mattis said on Friday the United States was working to reduce tensions. “We are trying to tone everything down and to figure out how we go forward without losing sight of the enemy,” Mattis told reporters. “Everybody stay focused on defeating ISIS. We can’t turn on each other right now,” he added, using an alternative acronym for IS.